All jazz fans: If you’ve never heard of Wynton Kelly, you need to listen to him. He remains one of the most unheralded pianists of the 1960s and rates with such luminaries as Horace Silver and Hank Jones. Once he finished with his Vee-Jay contract and split from Miles, Kelly signed to Verve. The pianist cut a total of six records for the label until 1968, when he stopped recording. Two years later, Wynton unexpectedly passed away in Toronto, where he had traveled for a gig. Silver Platters has a rare but again totally under-priced record from Kelly, his third Verve release, which seldom surfaces anywhere. Called “Undiluted,” this record features the Miles Davis rhythm section of bassist Paul Chambers and drummer Jimmy Cobb with a few added artists on side two. Released in 1965, the record finds Kelly at the height of his powers, playing a soulful, blues-based piano jazz. It contains such gems as “Bobo,” “My Ship,” and “Out Front.” It has the label number, F-8622, an original pressing. 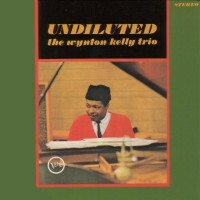 Give yourself a treat, and pick up this Wynton Kelly masterpiece. Sit back and let the blues wash over you. Metal heads, get ready. 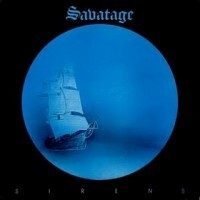 Silver Platters has a copy of the super rare album, “Siren,” by the rocking metal band, Savatage on BLUE VINYL! It’s on Par Records 1050 in pristine shape. Savatage formed in the death metal capital of the world, Florida, when in 1978 two brothers Jon and Criss Oliva banded together as Avatar. Two years later, they joined with Steve “Doctor Killdrums” Wacholtz, who earned his nickname from his wild, propulsive drumming. A year later, bassist Keith Collins came into the group to make the first full Avatar line-up. In 1983, another band with the name “Avatar” threatened to sue the foursome, so they changed their name to Savatage, a combination of the words Avatar and Savage. In 1985 early in their career, the group signed to major-label Atlantic Records, which constantly tried to push them toward a more commercial direction. Groomed by Atlantic, the outfit achieved its pinnacle of commercial success in late 1987 with “Hall of the Mountain King,” which reached number 116 on the chart and sold nearly 350,000 copies after heavy rotation on MTV’s “Headbanger’s Ball.” The record showed the band in the beginning stages of abandoning its heavy metal roots for a more symphonic direction. By 1989, Savatage had made the switch completely with the follow-up, “Gutter Ballet.” In 1993, the band experienced another set-back when guitar wizard Criss Oliva unexpectedly passed away. To date, the group has released a total of eleven studio LPs and two live ones, fueled by the energy of Jon Oliva. If you’ve never heard this version of undiluted Savatage, get it. You may never find it again, especially in the Par blue vinyl edition.